Electronic data explosion is happening everywhere. In the healthcare space one such scenario is EDI documents. All HIPAA transaction (especially Remittance and Claims) files will be floating around in many places. The volume of these files and processing requirements are going to increase rapidly. 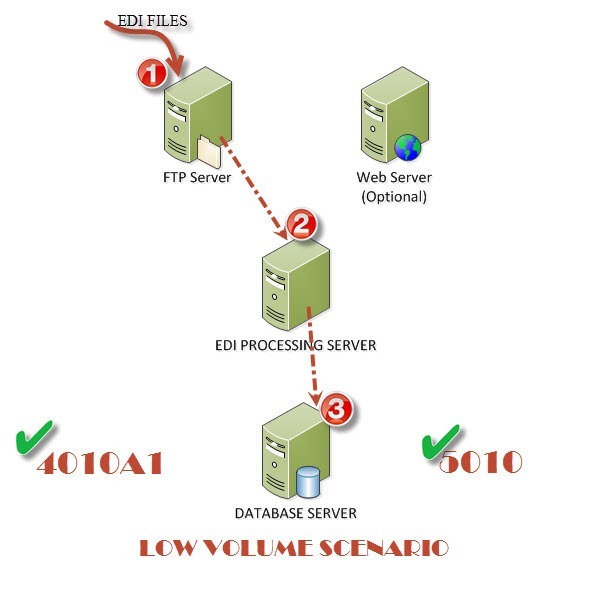 There are many scenarios where you may want to process large number of EDI documents in a short period of time. I just wanted to write about how our solution is built to handle this kind of scenario. The following figures illustrate our product architecture. As you can see, depending on your need, you can horizontally scale the infrastructure. 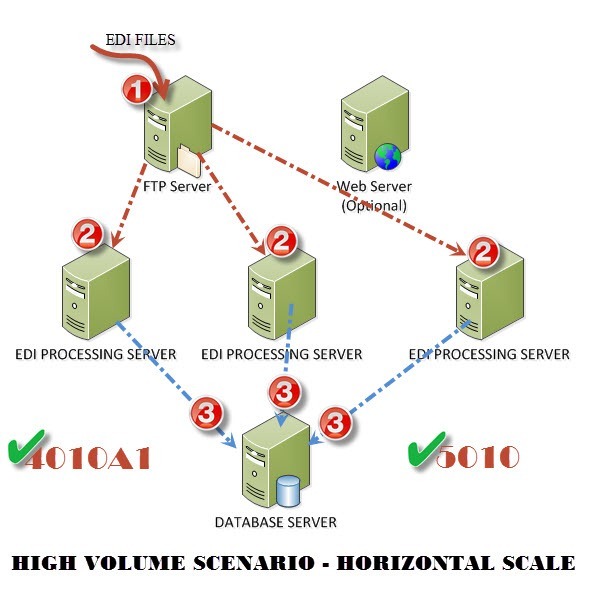 You can increase the processing speed and volume by scaling horizontally as follows. Many additional processing happens after step 1,2 and 3 shown above. Our solution includes those steps as well. Some of these steps are populating well designed dimensional model and preparing cube etc. I will write about those steps soon. In summary, you just drop the files, we do the rest. You do not have to worry about auditing, performance, data validation etc.